French finance minister Bruno Lemaire met with his counterparts from the 14-strong CFA bloc in the Niger capital Niamey on Thursday to discuss the health of the CFA franc, amid growing calls for the currency to be scrapped. Critics say the CFA franc is a relic of colonialism, whilst France maintains that the mechanism guarantees stability. Thursday's meeting of finance ministers in Niamey was no different from the one that preceded it six months before. The bi-annual event is a ritual. This year, however, it has attracted more attention because of renewed criticism of the CFA franc. Long the prerogative of self-professed pan-Africanists, most notably Franco-Benin activist Kemi Seba, who two years ago burnt a 5,000 CFA note in a symbolic protest, the issue has since been trumpeted by Italy's deputy prime minister Luigi Di Maio. In January, Di Maio blamed France for manipulating the economies of the 14 African countries in the CFA zone, pointing to the fact that the French treasury, and not the two African central banks, prints the CFA notes. Di Maio claimed that this manipulation stifled economic development and encouraged migration to Europe. "Italy has a lot of nerve in criticizing France," reckons Leslie Varenne, director of the Institute of International and Strategic Relations, IVERIS, "it forgets that it also has a colonial past," she told RFI. Nonetheless, the CFA franc, used by several former French colonies in west and central Africa, is the only currency from the colonial period still in use. Its critics see it as a relic of colonialism. What is driving the anti-CFA backlash? 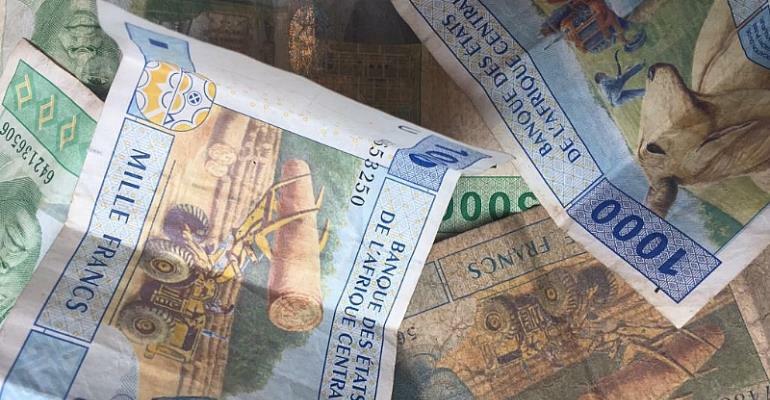 "The CFA franc is one of the instruments used to oppress African people, especially those living in the CFA zone," comments Senegalese activist Guy Marius Sagna. Pegged to the euro, "the currency favors imports, and that means that our merchandise is not competitive on the international market," he told RFI. The CFA franc is split into two separate currency zones: the West African Economic and Monetary Union made up of eight countries, and the Central African Economic and Monetary Community, comprising six nations. Originally called the French African Colonial franc, it was created in 1945 to foster France's economic integration among the colonies under its administration, but critics say the currency arrangement gives preferential French access to African resources. "It is a currency which exerts what we call financial repression," continues Sagna, "it was programmed to keep us underdeveloped in the interest of French businesses and multinational companies to begin with, but now foreign multinationals are also taking advantage," he told RFI. Member nations are obliged to keep half of their foreign exchange reserves with the French Treasury, in the Bank of France, in something called an "operational account". Italy's Di Maio suggested that France was using this system to finance its public debt. "We demand that French officials no longer sit on the boards of our central banks," says Sagna, suggesting that France had undue influence over the decision-making process. Sources at the French treasury have dismissed criticism, arguing that the CFA franc shields the 14 countries using it from inflation and uncertainty. In 1960, Guinea dropped the currency, replacing it with its own, but it regularly faces currency shortages and its central bank struggles to ensure stability. For Leslie Varenne of the IVERIS institute, the debate over the CFA franc "is legitimate, because currency guarantees sovereignty," however, she warns against French bashing. "This debate has become completely irrational at a time when French bashing is on the rise in francophone Africa," she says. Critics of the CFA franc want a common West African currency; however, plans to introduce one have repeatedly been delayed, and now will not materialise until 2020. A new joint currency would be a "mistake," says Varenne. "These countries will end up facing the same problems as us in the Eurozone. It is impossible to have a common currency for countries with very different economies. Cote d'Ivoire is not the same as Burkina Faso," she said. Anger against the CFA franc is not just directed at France; but also towards African leaders accused of being complicit with Paris. "We have presidents like Macky Sall, and Alassane Ouattara who have no political will to say no to France," claims Guy Marius Sagna. "It is up to us citizens to fight for our rights." French President Emmanuel Macron has said that, if African countries want to move away from the currency, France will not stand in their way, insisting on the voluntary nature of the system. "The real issue" for Varenne is not the CFA franc but the "lack of industrialisation". "What is driving young Africans to leave is the lack of hope, and jobs. That is what African leaders should be tackling. That is more urgent than the debate on the CFA franc," she said.